We do like to be beside the seaside - in fact, so much so that the popularity of living on the coast has driven prices up and up. Living in a seaside town has escalated in price - 25 per cent during the past decade, which is a rise equivalent to £382 a month. 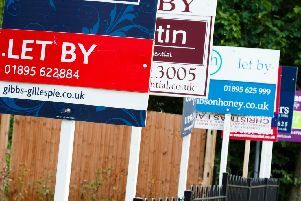 The average house price in Britain’s coastal towns has, according to Halifax, increased from £181,060 in 2007 to £226,916. However, there is a distinct north-south divide in property values. Nine of the 10 most expensive seaside towns are on the southern coast of England, with Sandbanks, near Poole in Dorset, Britain’s most expensive seaside town in which to buy a home for the second year in a row, with the average house price now £664,051. However, nine out of the 10 least expensive seaside towns are located in Scotland with Port Bannatyne, on the Isle of Bute, having an average home cost of just £71,550. And Campbeltown, Girvan and Millport, all on the west coast of Scotland, have seaside homes for under £80,000. But it may already be too late to grab a bargain - property values in Fraserburgh have soared by 95 per cent since 2006, to £136,889. And in the Shetlands, Lerwick has seen rises of 77 per cent, while in Inverbervie they are up 62 per cent. Martin Ellis, Halifax housing economist, said: “Seaside towns are extremely popular places to live, offering sought-after views and desirable weather.